Physicists are bracing themselves for news that the most sought-after fundamental particle of modern times has been glimpsed at the Large Hadron Collider near Geneva. The heads of the teams spearheading the search for the Higgs boson at Cern, the European physics laboratory, have called a special seminar to announce their findings on Tuesday afternoon. They will describe progress in the hunt for the missing particle, which has been the most glittering prize in particle physics since it was predicted in 1964 from equations drawn up with pencil and paper by Peter Higgs at Edinburgh University. The Higgs boson is the last remaining piece of the Standard Model, the set of mathematical rules that describe how all the known particles in nature interact with one another. Lisa Randall, a physicist at Harvard University, told the Guardian: "It is difficult to think of alternatives that are consistent theoretically – and with everything observed to date – that don't involve the Higgs mechanism. 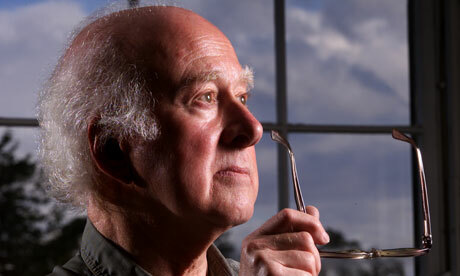 "I think the most likely answer is a conventional, light Higgs boson. When asked what I thought the odds were in a popular lecture, I surprised myself by saying 70%. I've even bet chocolate based on those odds." The Higgs boson is the signature particle of a theory that says the vacuum of space is filled with an invisible field that stretches to every corner of the universe. The field is thought to give mass to fundamental particles, such as the quarks and electrons that make up atoms. Without the field, or something like it, these particles would weigh nothing at all and hurtle around at the speed of light. There would be no atoms as we know them, nor stars or planets. Earlier this week, the scientific director at Cern, Sergio Bertolucci, hinted that the lab might have seen the elusive particle, adding weight to rumours that were already spreading on physics blogs. Several blogs claimed that both Cern teams had results pointing to a Higgs particle with a mass of 125GeV (gigaelectronvolts), where one GeV is roughly the mass of a proton. At 125GeV, the Higgs particle would weigh as much as two copper atoms. The director general of Cern, Rolf-Dieter Heuer, has warned staff that the announcement will not be conclusive, meaning the results are too weak to claim an official discovery. Results in particle physics are ranked on a scale from one to five "sigma". One and two sigma results mean very little. A three sigma result counts as an "observation", while a five sigma result is enough to claim a formal discovery. There is less than a one in a million chance of a five sigma result being a statistical fluke. Fabiola Gianotti and Guido Tonelli, who lead the teams that work on the collider's cathedral-sized Atlas and CMS detectors, will present the results at the seminar. The collider, which occupies a 27km tunnel beneath the French-Swiss border, crashes protons together at close to the speed of light. The Higgs particle is too unstable to be seen directly in the tiny fireballs created in the collider, but it should leave a telltale signature in the machine's detectors as it disintegrates into familiar particles. The anticipated results have sparked excitement that goes beyond the discovery of the particle itself, with some physicists claiming it would point to a fresh understanding of the structure of the cosmos. A Higgs boson with the rumoured mass fits well with a theory called supersymmetrythat says nature is built from twice as many kinds of particles as have been observed. "They should have enough data to make an interesting statement. It could be that they have a hint, but are not sure if it's real," said John Ellis, former head of theoretical physics at Cern. "The picture is still confused, but a Higgs particle that weighed anywhere between 115GeV and 125GeV would be just dandy for supersymmetry." "If the two detectors have essentially coincident effects of 2.5 to three sigma, there is no doubt of the discovery," said Gordon Kane, director of the Michigan Centre for Theoretical Physics. If they found this particle, our universe would be too predictable. Come on, a little hole in the theory will be good for everyone. There are plenty more particles left to find -- super-symmetry is a great concept, it just happens to require that a lot more particles have to be found. As for the Higgs, I don't know that finding the Higgs boson means they are all done by a long shot. Understanding what all the masses =mean= would be nice, for example. Would super-symmetry imply that there needs to exist a 'Satan particle'? If there's a god boson, there'd need to be a lot more than just a satan particle under super-symmetry! An annoucement already? I read from another physicist a couple weeks ago that they would need at least another year before they could be confident that Higgs has been found. I think this is premature. They are probably just going to saying something like, "We found some traces of evidence that may suggest the Higgs boson is real. However more testing is required for confirmation." this is what they said - but the general feeling was there were hints of something in there. A double helping of maybe is likely all we'll get - even in a year's time. Science! It Marches On | Cosmic Variance | Discover Magazine and several other blog entries. The LHC has detectors around its collision points, and two of them, ATLAS and CMS, are being used to look for for the Higgs particle, among other particles. Each detector has a separate team of physicists analyzing its results, so if both detectors see something, then it implies some repeatability. Both detector teams have looked at certain detected events, like pairs of very energetic photons, and inferred parent masses from them. Many of the events are produced by other processes; two quarks colliding can radiate very energetic photons if they collide close enough. So a Higgs particle would be apparent as a bump on top of this "background". So far, neither team sees a very big bump: only 2 or 3 standard deviations. But they have very close energies, around 125 GeV in particle-physicist units, and combined, they are about 3 or 4 standard deviations. Not enough to claim a discovery; particle physicists set a threshold of 5 standard deviations. But next year, the LHC should make enough events to go over threshold, if this result is real. The Higgs particle is the remaining particle in the Standard Model. It's expected to have the odd property of a nonzero field value at lowest energy. Remember wave-particle duality here; elementary "particles" all have wave/field properties. The Higgs particle interacts with most other elementary particles, but since in this sense it is always around, this interaction is always happening. Its this interaction that gives other particles their masses, and the stronger the interaction, the greater the mass. If the Higgs particle is omnipresent, then why is it so hard to produce? Because what physicists are looking for are excitations of the Higgs field, bumping up above the lowest energy. It also seems to have a mass where background is relatively strong for it. That background is weaker for higher energies, and a Standard-Model Higgs particle has been ruled out there for that reason.